The quality of modern cars is such that age, rather than mileage, is often a better indicator of the health of the machine. Most people know that a car with over 100,000 miles on the clock is generally still good for many tens, or even, hundreds of thousands more miles. As long as the service history is up to date then high mileage machines can be had for peanuts. I'm going to look at high mileage estate cars for under £2,000. You'll be surprised at how much car can be bought for this budget. You can buy a 2002 3 series E46 estate with either a 318i petrol engine (it's actually a 2 litre) or 320d diesel. Both are refined units capable of high mileages but the petrol edges the diesel in terms of lack of problems at high mileages. 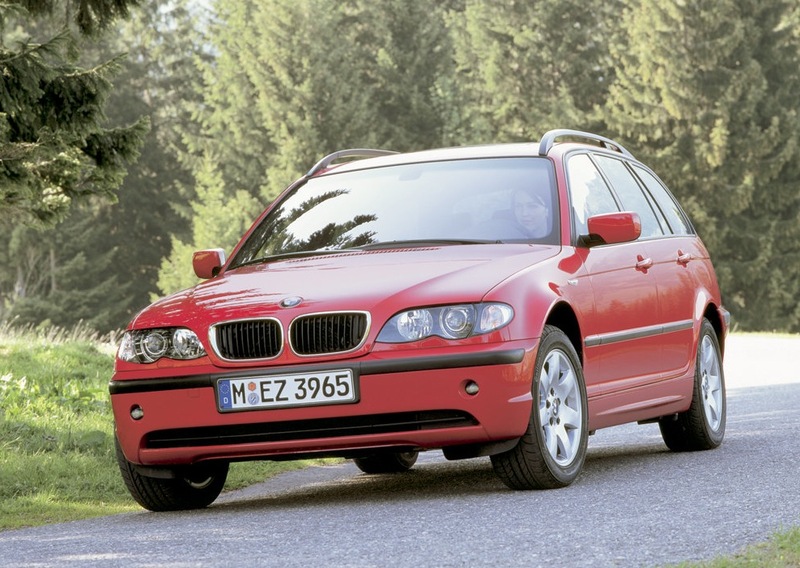 The 320d is a very good engine (see review of a 2007 model here which has the same engine) but is prone to two problems. In the engine are things called swirl flaps which are made of plastic and can disintegrate, which the engine then ingests and destroys itself. A cheapish fix is available here. Also, the turbos in the diesel engine are prone to failure at high mileages and will cost up to £1,000 to fix. The 3 series has a great interior and has the most dynamic chassis in it's class. The downside is it lacks space compared to other estates. The boot in particular is a lot smaller than in equivalent Audis and Mercedes. 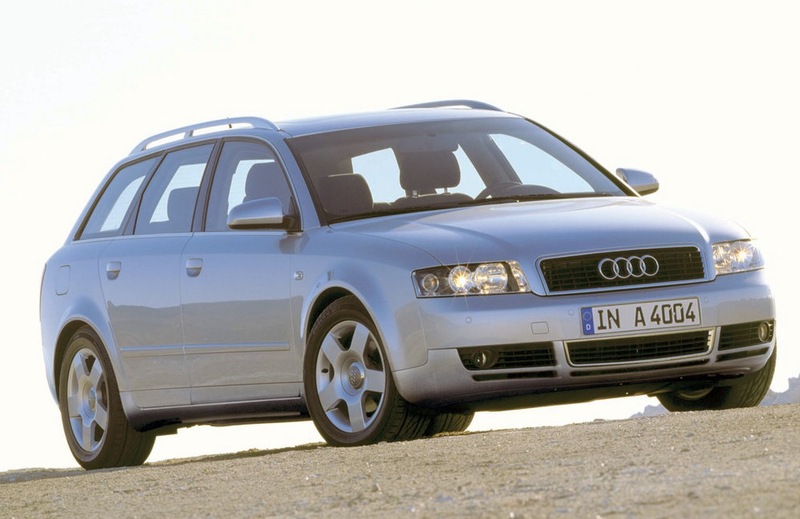 If you're tempted to go a bit older than 2002 don't go further back than 2001 when the 3 series received a mild update. Those older models will lose value quicker. To be blunt it is possible to buy a C class for this money but you'd be best served with something else. The best bet is a 2003 W203 with a 2.2 litre diesel engine - the C220 CDI. It's a bit slow but can do mega-mileages if maintained properly. The main problems with this era of C class are quality control and rust. Quality control because they were made in various factories around the world and Mercedes suffered problems with some of these factories in the early 2000s - particularly one factory in South Africa. The problems weren't discovered until after the cars came to market and various components started to fail. The rust problems are prevalent in all Mercedes of this era and sometimes don't reveal themselves until it's too late. Other than that the C class has a high quality interior and drives well with decent equipment levels. Don't, whatever you do, buy the base model Classic. You won't be able to sell it on afterwards. 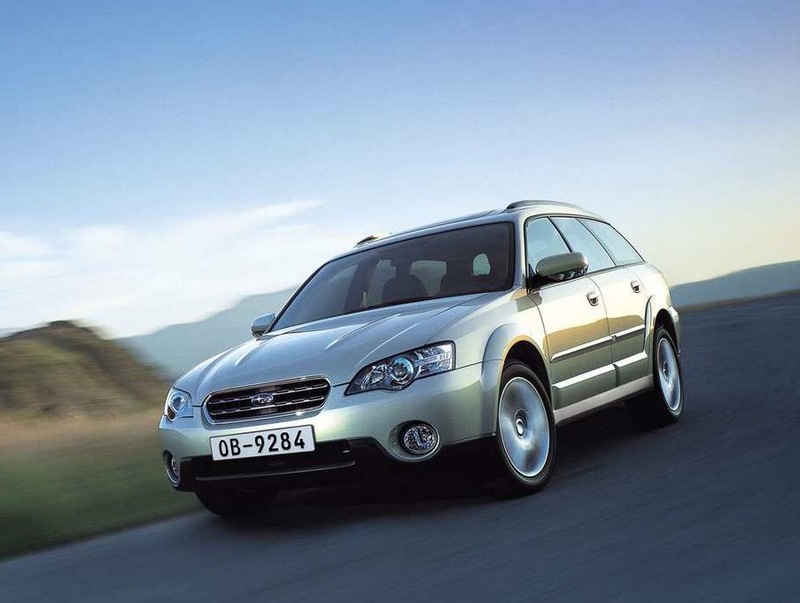 Subaru build some fantastic cars that are often overlooked due to their niche image and lack of engine choice, but their wagons are built to last and can be big bargains. Take the Forester. It's looks can divide opinion but you get a solid car with permanent four wheel drive, a decent spec and one of the better Japanese interiors. The 2 litre engine in the Forester is a bit slow (125bhp) but will return 30mph and take you almost anywhere a Land Rover will. I recently spent a day in one and was massively impressed with it's ride on the motorway and handling on back roads. £2,000 buys a 2002 Forester. Alternatively go for a Legacy which is more of a traditional estate shape but still has four wheel drive and has a better ride and interior. 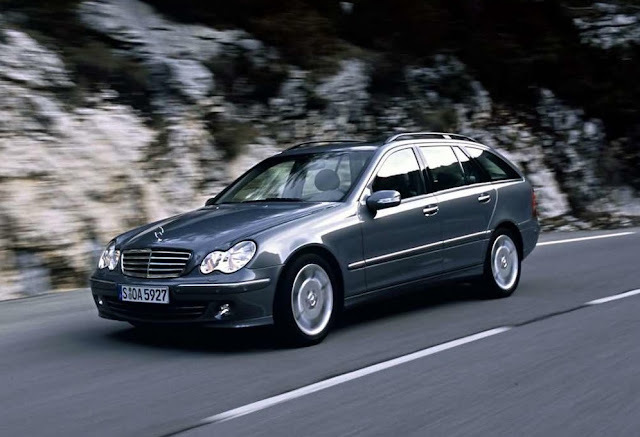 Go for a 3 litre pre-facelift 2002 model or 2 litre 2003 post facelift. Both engines are good but the 3 litre, whilst thirsty, is an amazing unit. Word of warning to any prospective Subaru owner. Look for one that has been well looked after by an owner who has hung on to it for ages. They can go shabby through lack of maintenance and care so those with lots of owners are to be avoided. 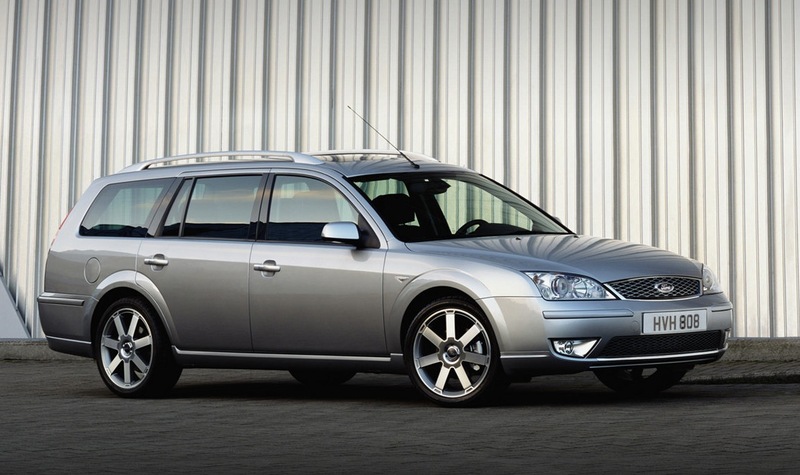 If you can cope with front wheel drive and the image of a Mondeo then you can bag a bargain. £2,000 buys a 2006 2.0TDCi with well over a hundred thousand miles, but that is capable of another hundred thousand. The spec levels are pretty high and the interiors good, although buy as high a trim level as possible because lower levels, especially LX, have poor quality drivers seats which can hurt the lower back. Handling is good and the TDCi returns 40-45mpg. There are, however, some precautions to be taken when looking at these as engine problems do occur. If the exhaust is smokey walk away. It is probably worn oil seals in the turbo. Also, TDCi's need new injectors every 60,000 miles so if you're looking at a 120,000 mile example make sure the injectors have been changed. Finally, if it has starting problems from cold, walk away. The dual mass flywheel is failing - iron filings from the DMF get into the clutch and cause the starting problems. If you find a car with none of these problems then the Mondeo is a bargain. If you buy one with these problems it could cost you thousands to repair. And don't ever buy an ex Taxi. 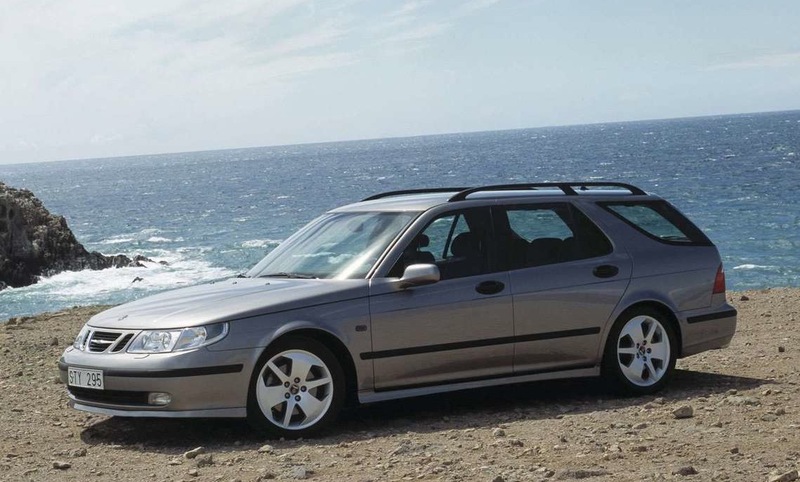 Saab may have gone bust but they made great cars and the 9-5 is one such. £2,000 buys a 2005 2.0T petrol which has 150bhp and returns 27mpg (don't believe claims of higher mpg as they're untrue). Don't be tempted by the 2.2 TiD diesel which was a decent unit but problems galore manifest in later life. Besides, Saabs are fairly unique and should be powered by a 2 litre petrol with a turbocharger. The interior is uniquely Saab and has enough gadgets but looks a little out of date compared to similar age German cars. The seats are particularly good and great for motorway miles. Underneath, the 9-5 is based on a Vectra so don't expect many problems, but also don't expect fantastic handling - more, it is adequate. If any Saab kicks out any kind of white smoke from the exhaust the turbo is about to fail, which they are prone to do every 100,000 miles. As for Audi as for Volkswagen. The mechanicals are similar and the engines almost identical. 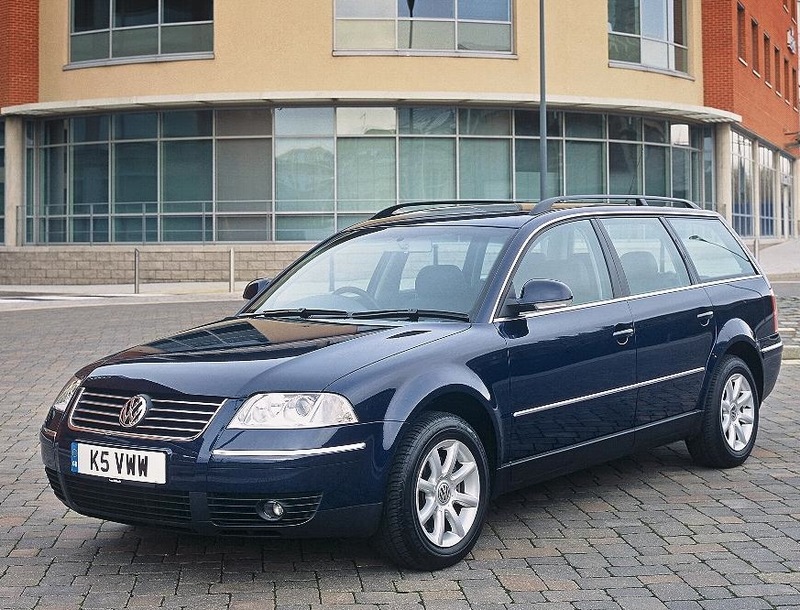 You'll get a newer Passat for the same money because the marque has less prestige. The best one I found was a 2003 1.9 TDi PD 130 SE with 150,000 miles on the clock and a full service history. If you aim for that you can't go wrong. Avoid the slow 2 litre (not the FSi unit found in the Audi) but be happy with a 1.8T. The interior is classy and more spacious than those from BMW, Audi and Mercedes. These are the same car but the MG comes with funkier colours and trim levels and will hang on to it's value for longer. 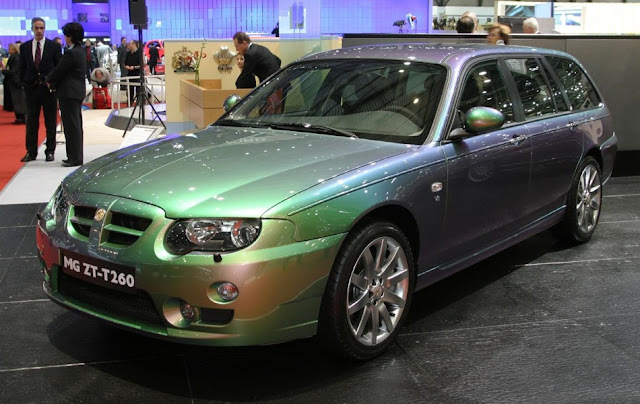 MG Rover might have gone bust but parts are plentiful so don't worry about that. It's a decent handling, front wheel drive car that can cope with high mileages. Spec levels are high in most models. Most owners tend to love these cars and will look after them - just make sure you find one of these well cared for examples. Avoid the 1.8T versions as head gaskets need changing as frequently as fuel fill ups. Instead go for the 2.5 litre V6 180 or 2 litre CDTi 135. It's the BMW unit so swirl flap problems are identical. You can buy a 2004 model for the budget. 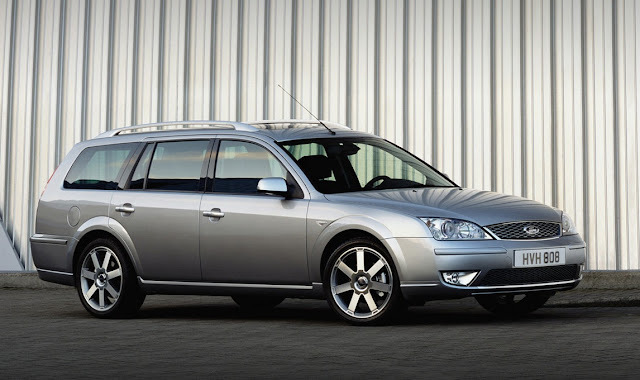 If you're after a load lugging, capable estate with decent performance and handling then this is the biggest bargain of all these cars and our pick of all of them. But hang on. If you delve further back into history you will find the precursor to the Mercedes E class - the W124. Have a read of this article for further information on the W124 and do not, whatever you do, buy a W210 which are utterly crap. If you find a decent 280TE or 300TE with no rust, leather seats and the 3rd row of seats in the boot for under £2,000 snap it up. Good quality examples are becoming rare and prices are on the up. Specialist dealers charge more than £5,000 for mint examples. I found a 1993 280TE on eBay for £2,000. It's done 140,000 miles and will easily do half a million. 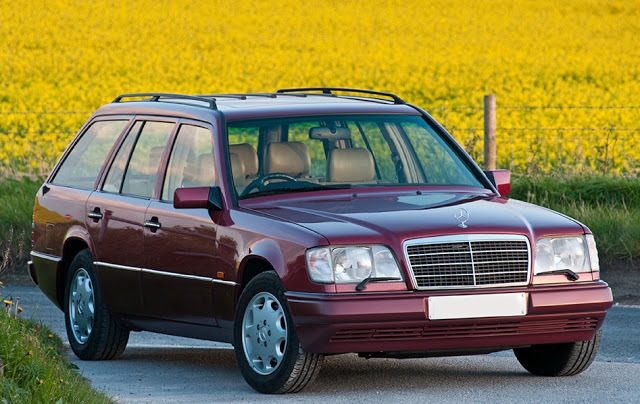 If you fancy taking a risk on an older car (the only risk being on the condition of the vehicle) then a W124 is the canny buyers choice for a mega mileage estate car.